As we write this it is snowing here in Minnesota, a little late for this Bold North resident but we are confident the sun will be out later this week and will melt it all away! April brings two fabulous celebrations for our environmental purpose here at Wood from the Hood: Earth and Arbor Days. If you are a Minneapolis local below are some fun ways to get involved. If you are not local we hope this inspires you to find similar events in your community. Earth Day, April 22, is a day’s observance of the need to protect the earth’s environment, something we take seriously here at Wood from the Hood when reclaiming urban trees and turning them into useful hardwoods and goods. Our own Seward Neighborhood Group is hosting a Neighborhood Clean-up on Saturday, April 21 from 9:30 am-noon if you are local please sign up and pitch in! The Minneapolis Park and Recreation Board is also hosting Earth Day Cleanup events at multiple sites throughout Minneapolis. We encourage you to get out there and help the greater community by signing up somewhere to help clean-up the earth or plant a tree with your local community on Arbor Day. Festivities are everywhere. When our kids were little we would take our wagon out on Earth Day and taught them that picking up garbage in the alley and the streets around our neighborhood would help the planet, everything counts, big or small. 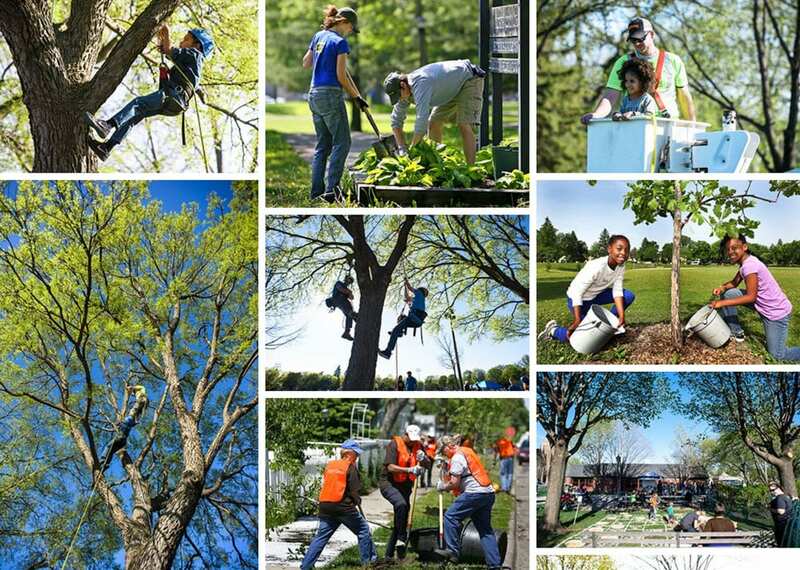 This year for the first time our Wood From the Hood team will be volunteering with our partners at Minneapolis Park and Recreation Board for Arbor Day, Friday, April 27, from 4-8pm at Rev. Dr. Martin Luther King, Jr. Park. We are excited to have our team helping in the tree climbing activities. It will be fun to see people climbing and learning how to climb a tree. This festival-style celebration is for everyone full of tree-themed activities and educational opportunities, music, food, beer and, of course, the planting of new trees! Anyone can volunteers to help MPRB Arborists plant 150 trees around the park. There are many different volunteer opportunities see them all and sign up here. We hope you will stop by and say hello! Hope to see you out there enjoying the spring weather and helping our earth and trees! 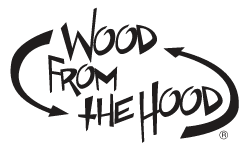 Wood From the Hood produces high quality lumber and custom wood products recycled from the Twin Cities urban forest.